The straight razor glides across my skin, severing the stubble under the blanket of shaving foam. Some strokes are long and calculated; others, short and quick, working around the contours of the mouth, nose and jaw. 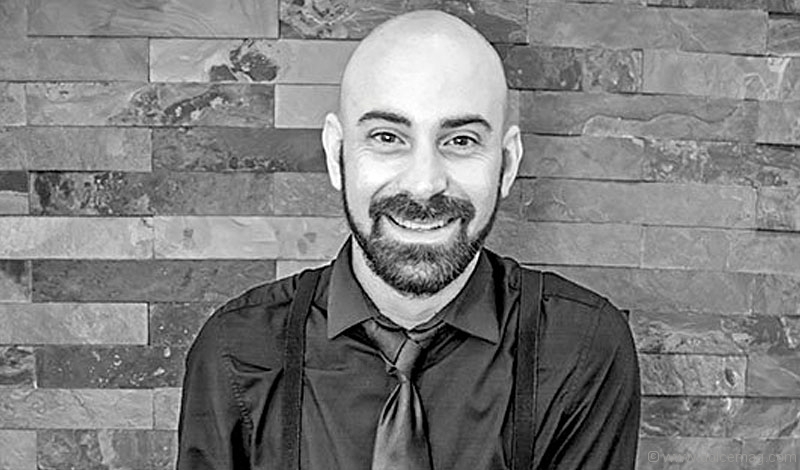 I’m reclined in a barber’s chair at John Allan’s downtown location as the steady hands of its master barber reveal the skin beneath the scruff. It’s an experience once enjoyed regularly by gentlemen of yore, and one that the modern man is bringing back to life. I’ve never had a straight razor shave before. The practice was cast aside by our speed-obsessed culture for in-and-out unisex salons and the faster and more convenient disposable razors of Big Men’s Grooming long before peach fuzz sprouted above my upper lip. But speed is exhausting, and many are looking backwards, embracing those relaxed, dignified methods of a bygone era. 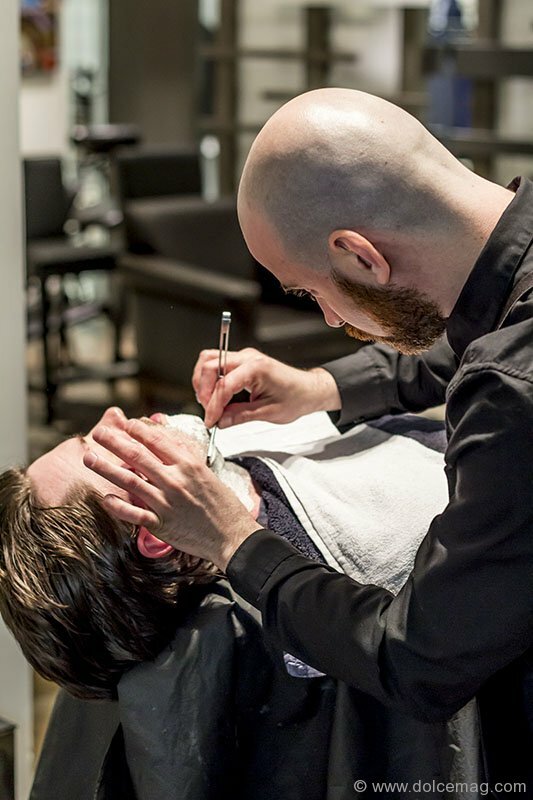 Like the reinvigorated interest in vinyl records, straight razor shaving is finding new legs. I had to give it a whirl. It’s late afternoon in downtown Toronto when I stroll into John Allan’s at Hudson’s Bay. This gentleman’s club offers haircuts, manicures and other men’s grooming services to its upscale clientele, as well as shoe shines and beverages from its fully licensed bar. What more could a man of industry ask for? Tertsakian starts by applying John Allan’s Slick Water, which softens follicles for a closer and smoother shave. Next, a hot towel is wrapped around my face to help open the follicles. “It also makes your skin feel really soft,” he says. Two rounds of shaving follow. The first: with the grain to avoid tugging. The second: against it to clean up the remains. A hot towel is applied in between shaves to soothe the skin. He ends with John Allan’s Cool Face aftershave to alleviate irritation. The process takes about 30 minutes, but could be upwards of 45 depending on the jungle growing from your jowls. The skin does feel incredibly soft and smooth, and this macho pampering is highly relaxing, a great way to unwind. 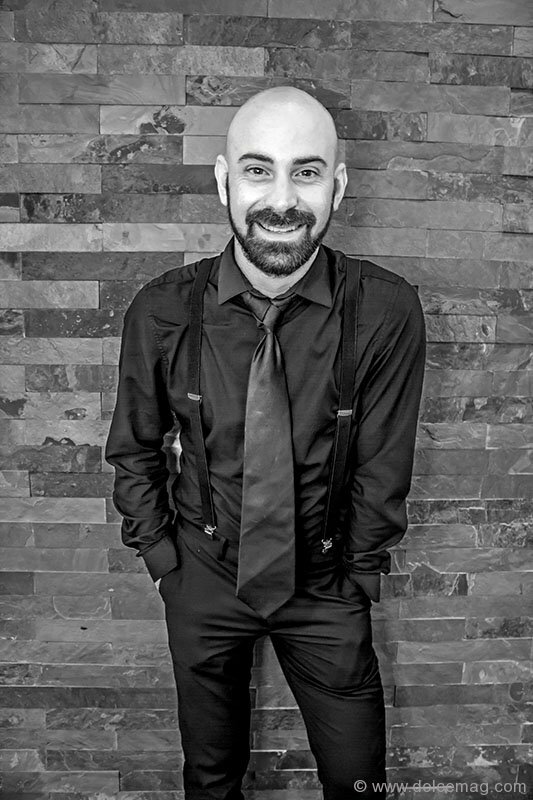 “I like to call it a ‘manly facial,’” Tertsakian says, adding he also shaves heads and shapes beards. Heck, go for John Allan’s Full Service, it includes a drink. Something gentlemen of yore would also appreciate.